Just 20 minutes by car from Glasgow City Centre Our M&D’s Theme Park Guide suggests there are rides & attractions for all the family. With a range of indoor options including Amazonia tropical house packed with exotic animals, ten pin bowling & soft play PLUS all the outdoor theme park rides you could ever need, there’s something for everyone. Follow our cheap ticket guide below packed with money saving ideas. The great news at M&D’s is there are NO entry changes in place to access the theme park. This is particularly effective for those that want to accompany children into the park rather than access the rides. Of course if you change your mind you can always pay for an individual wristband from within the park. Worth noting that on certain family rides there are height restrictions in place that require adults to accompany children. Regular Tesco shoppers can redeem clubcard vouchers against wristbands at M&D’s. The great advantage here is that vouchers can be used towards Ride All Day Wristbands, admission to Amazonia or even a game of Devil’s Island Mini Golf. Remember to redeem your vouchers in advance where you can opt to part pay & top up with cash or pay in full for great flexibility. 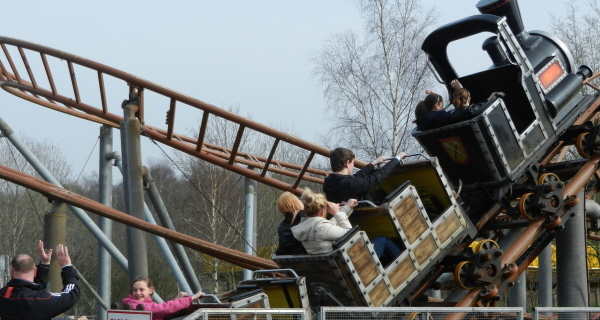 Look out for online offers running throughout the year at M&D’s Theme Park. Promotions vary during the season but we’ve seen some attractive offers running on 10 pin bowling, refreshments, indoor play & Amazonia. Check out what’s available for your next planned visit to ensure value for money. For those planning to visit a number of times during the year, look out for attractive season pass offers. Please not this is a season rather than an annual ticket so you’ll get greater value for money if you invest early in the year as it offers unlimited wristbands whilst the the park is open. Look out for regular money saving vouchers running during the season too such as free entrance vouchers to Amazonia or bring a friend offer. LOOK OUT FOR OUR Money Saving Guide for M&D’s Theme Park packed with ideas to help you get the most from your day out! In previous years, we’ve come across promotional vouchers for M&D’s Theme Park that run at the beginning of the theme park season. Look out for vouchers running over at Visitlanarkshire that can offer value for money. We’ll let you know as these offers & promotions start up for the next season. During the winter months, M&D’s have run an attractive £1pp after school promotion that has proved popular with visitors. This offers entry to any of the following for just £1pp; Amazonia, ten pin bowling & soft play. More details if this runs again later in the year. EXPLORE OUR Blackpool Pleasure Beach Cheap Ticket Guide packed with deals, promotions and savings! This entry was posted on Thursday, February 1st, 2018 at 3:06 pm	and is filed under . You can follow any responses to this entry through the RSS 2.0 feed. You can skip to the end and leave a response. Pinging is currently not allowed. Hi was looking to go to m and D’s 23rd or 24th may for my boys birthday.2 adults 3 children one under 2 any deals on thanks. 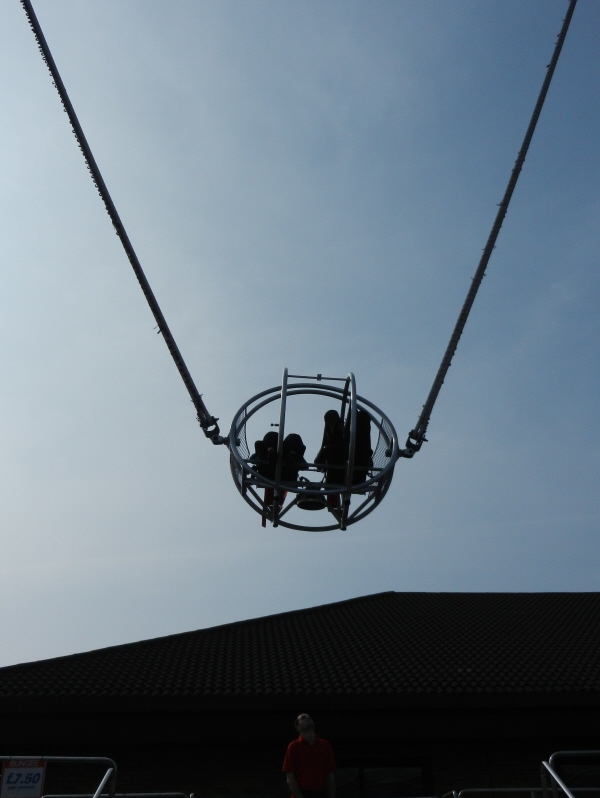 Visit Lanarkshire are currently running some M&D’s theme park vouchers that maybe of interest to you. More details available at VisitLanarkshire. please let me no when you have monthly deals as we are a family of 6 thank you. Dear Mrs Milligan, whilst Topdogdays is separate from M & D’s, (we simply signpost to where the deals are for top UK visitor attractions), I do know that M & D’s do change the deals they run on a regular basis so worth keeping an eye on their ‘special offers’ tab on their website to keep up to date. Looking for the £10 wristbands that were on sale or any discount codes. Hi Lisa, if you can visit M&D’s this weekend, (21 & 22 March), then you can pick up £10 wristbands. Need a promotion code to buy tickets for friday 21st nov santa.s visit. Hi Kathleen, M & D’s are currently running a buy 1 get one child ticket/package and get an equivalent adult ticket/package free. This offer is available on 21 November, (subject to availability), and the offer ends on 23 November. I found if you click on the ticket/package you require, it takes you through to the offer. Hi i live in belfast im looking tickets for me my boy friday and r son. Is there deals. Where the boat trip over and back is included ?? Hi Roisin, both P&O Ferries & Stenaline Ferries offer combined M&D’s theme park tickets & ferry packages that can be worth taking a look at. How do I get to this voucher? Hi Carrie, just follow the links through to the Visit Scotland site. Once on the Visit Scotland site, click on the 2 for 1 offers tab; you will need to sign up and then download the vouchers. Follow our guide to cheap tickets at Blackpool Pleasure Beach including promo codes, 2 for 1 vouchers and online offers. Follow our top tips & handy hints to help you pick up cheap tickets to the cinema. 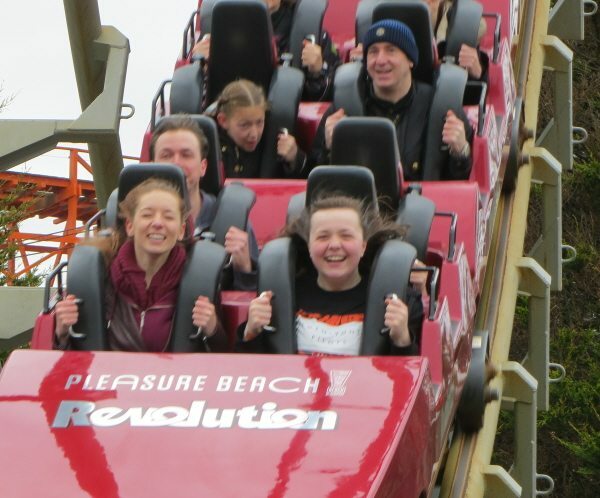 Follow our top tips to help you get the most from your day out to Blackpool Pleasure.